I implied that by the time when I was growing up® no elaborate displays or advertisements were necessary, items appeared in stores sporadically and people swept them off the shelves. 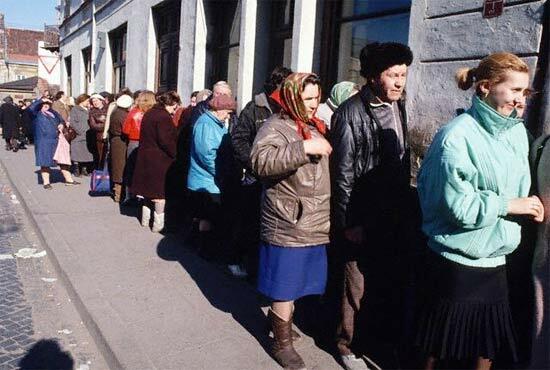 Even everyday groceries like bread and milk frequently required standing in line. 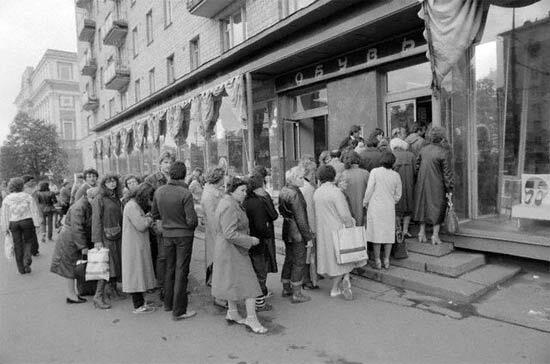 Any imported clothes, perfume, shoes, and even toys had the lines snaking out of the door and around the block. 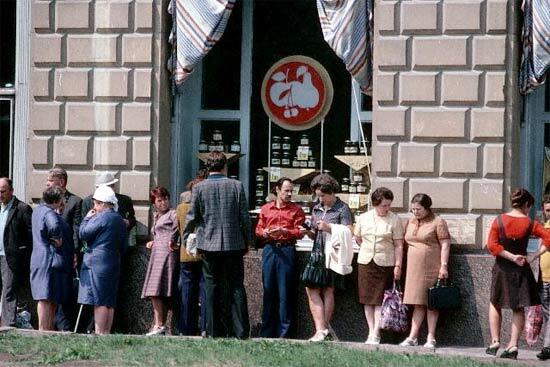 Supplies depended on the city; Moscow where the government was located and frequently visited by foreigners was known for its well stocked stores with items that were never seen elsewhere. 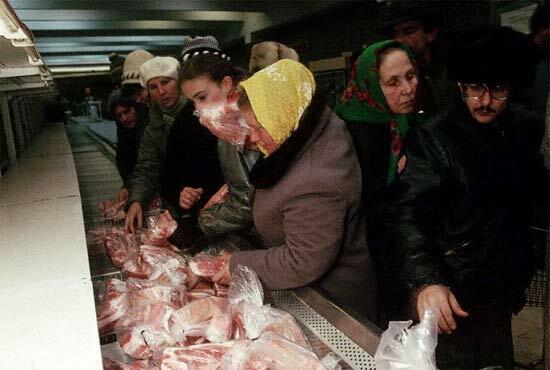 People from surrounding areas were making long-distance shopping trips to Moscow to stock up on food and imported hard-to-find retail goods. 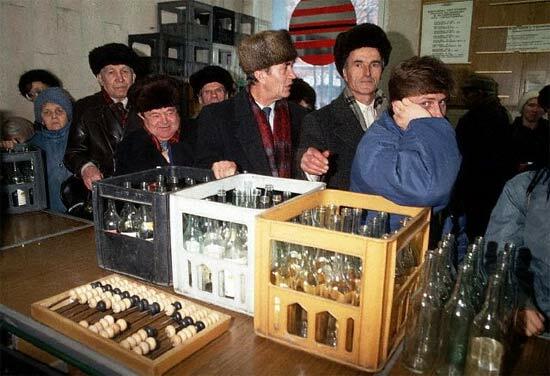 Those who lived too far from Moscow had to either know someone in retail or pay black market prices. 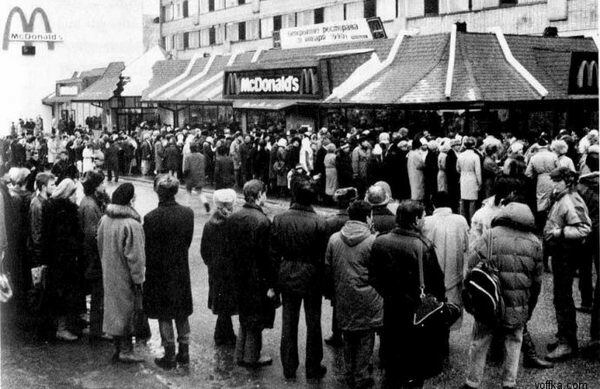 In the early 80’s standing in line was pretty much the norm of life. 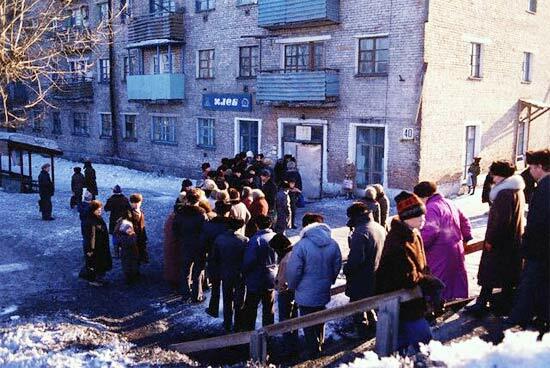 Once I was walking home from school in the 4th or 5th grade when I noticed a huge line to the kiosk selling mandarins. Mandarins were a rare find, available only in winter. I didn’t have any money with me so I got a spot in line and had a number scribbled on my hand to verify my place. Then I went home, got the money and was back before too long. 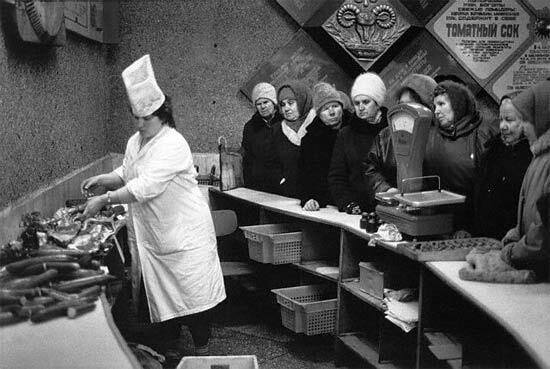 By then the people were worried that the mandarins will run out and people in the back of the line would have to leave empty-handed. I showed my number and got back in line, although some people where not too happy that I came back. Even with me running home I still had to stand in line for several hours. Not sure if I wanted the mandarins so badly or just didn’t want to leave half-way to the end of the line. Somehow I remember this one night and tell this story often, and, of course, I am eating a mandarin as I type this. 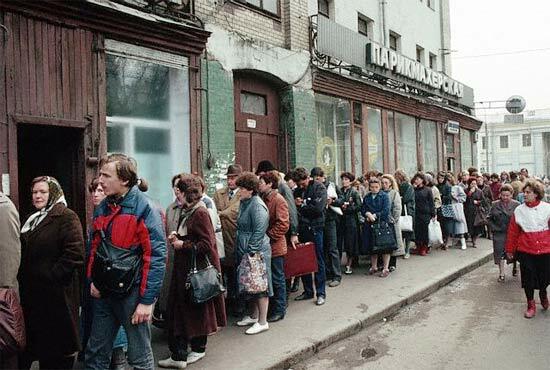 The reason I remember standing in line that night is that I wasn’t exposed to shopping very often. 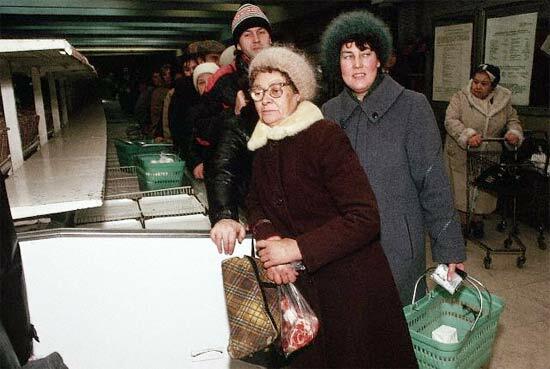 My parents did their share of waiting in lines or found other ways of getting stuff they needed like farmer’s market for foods which weren’t that cheap or black market for other things. Knowing someone in retail or grocery store was a goldmine. These people knew when the deliveries were scheduled and could hold on to an item for their friends, relatives and people who were willing to overpay. There was also barter going on, a retail employee would trade a favor with a doctor who could in turn try to find a rare medicine, or an auto mechanic who had access to hard-to-procure spare parts. Trading favors and black market led to some items never appearing in the front of the stores for general public, they were gone as soon as the delivery truck left the dock. And now for some photos. 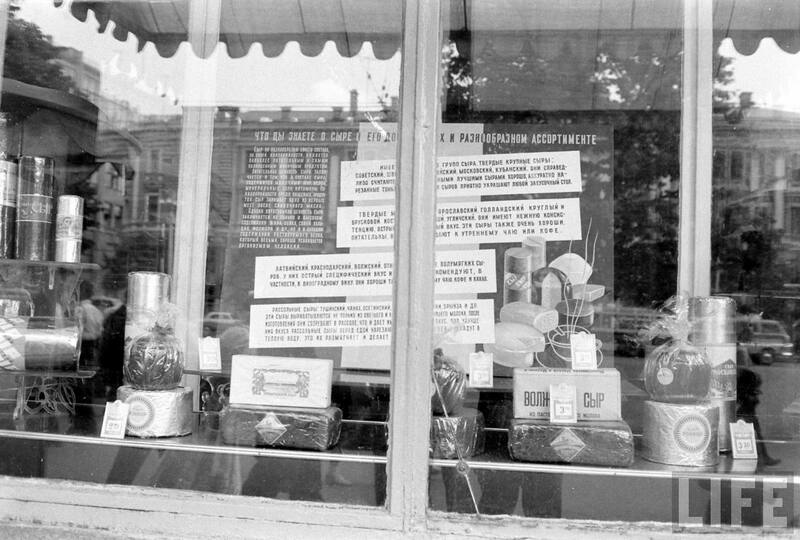 Unfortunately not too many people had a bright idea to photograph the lines and empty stores; in some cases it could be interpreted as some anti-Soviet activity. Many photos floating around the internet are taken from here and I found a few more elsewhere. Stores usually closed for one hour lunch break. 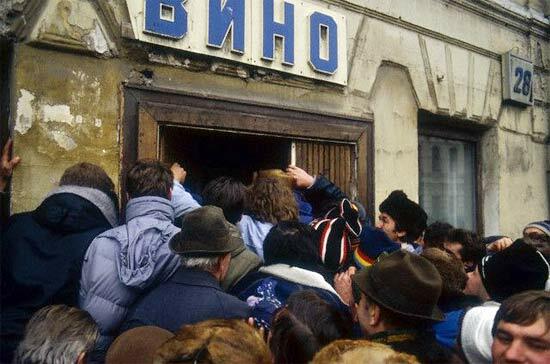 People are waiting for the store to open. Line to buy shoes, probably imported. Soviet shoes were ugly, heavy and uncomfortable. 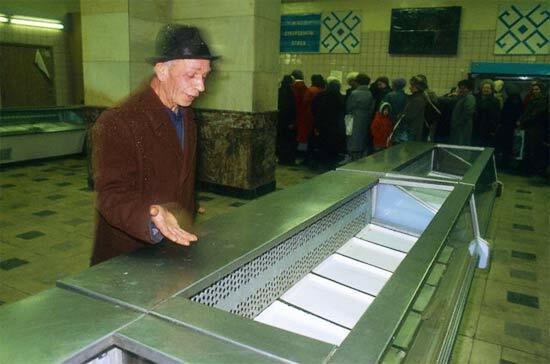 People in line always worried that the stuff will run out and the time will be wasted. 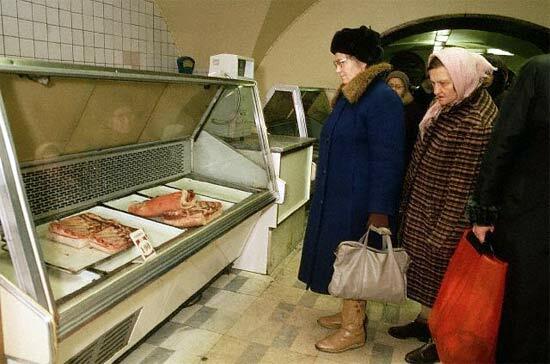 People are forming a line in anticipation of delivery. Many times it never happened. If a delivery did occur, pushing and shoving was not uncommon. Sometimes there were fights but not very often. Buy lingerie first then see if it fits. 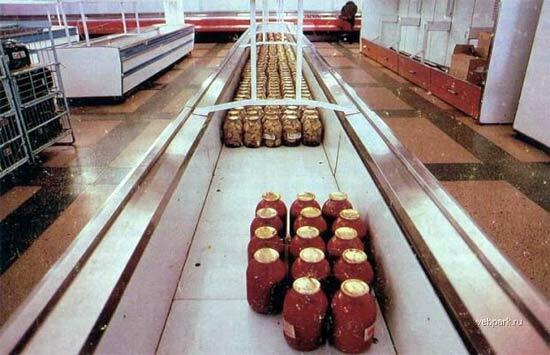 When people think socialism, they often have these images in mind, but in all truth this has nothing to do with socialism; this was the result of many years of corrupt power, terror, breeding out competition, trying to force rules and principles on people that were going against common sense and human nature. Labels applied to what was built in the USSR are irrelevant; was it communism, socialism or just a big lie – what difference does it make. The only thing that matters is learning something from this experience. 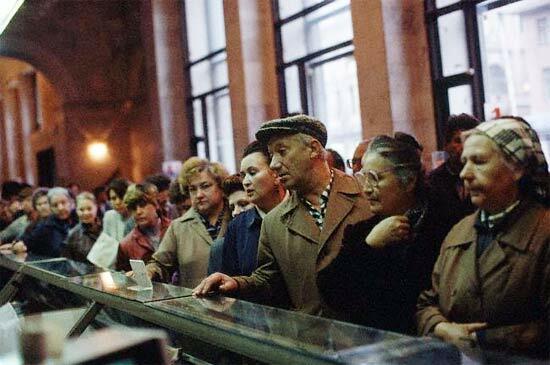 Then the years the Soviet people spent standing in various lines would account for something. 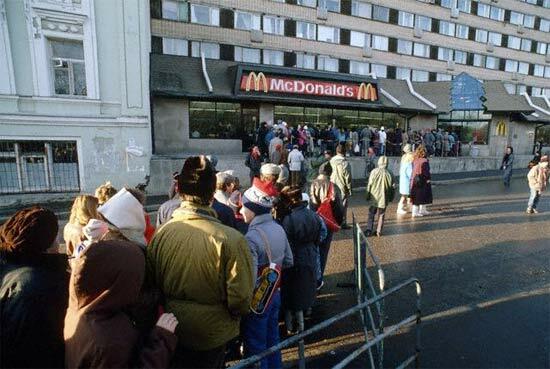 My kid gets annoyed when I walk out of a store or a restaurant when I see too many people waiting in line. 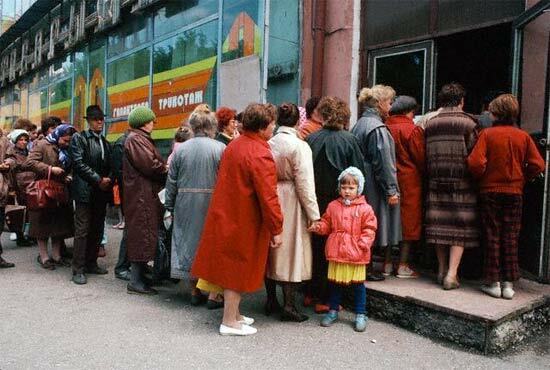 I tell her that all the time in my life that was allocated for standing in lines has been used up already and I have little patience for waiting in one. And then I buy more mandarins.